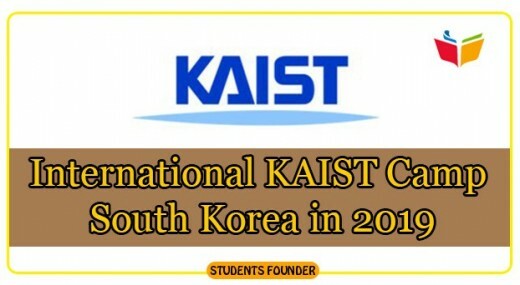 The applications are invited for the big international KAIST camp is South Korea and the candidates can attend the fully funded KAIST camp in South Korea being set up in KAIST University. It is the world class university and it invites the undergraduate students from all Asian countries and they can apply for the international KAIST camp. The word KAIST stands for Korea Advanced Institute of Science and Technology. It is the great opportunity for the undergraduate students to attend the camp provided by the leading research oriented university widely recognized as the best University in Korea and it is launching the fully funded camp. 3rd or 4th-year college student. Major in Computer Science or in other related areas. No Passport is required at the time of submission of application. · Local excursions (For selected applicants). The candidates note the deadline to apply for 2019 International KAIST Camp is 30 September 2018.